Waterfall Info: This is the upper of two tall waterfalls on an unnamed tributary of Frogtown Creek that flows from Daniel Camp Gap. Originally, these waterfalls were known as Upper DeSoto Falls before the trail to them became unmaintained. 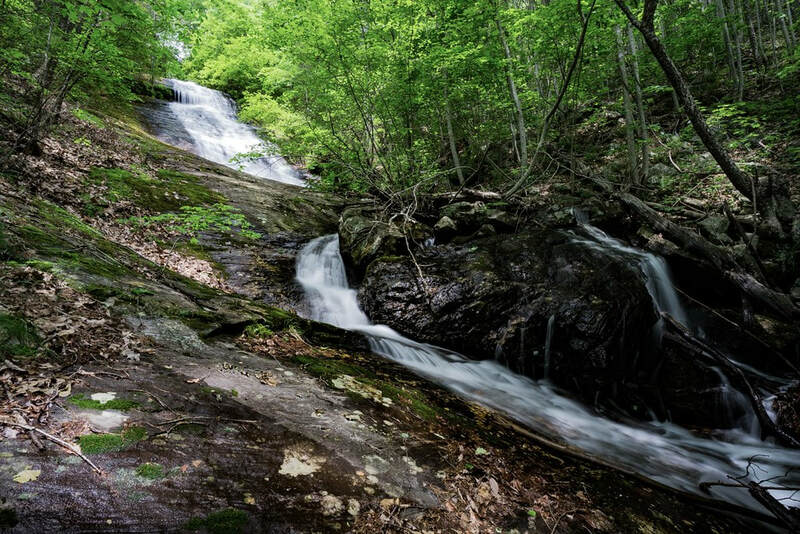 Access Info: To see Upper Old DeSoto Falls, follow an unmaintained trail that splits off the Upper DeSoto Falls Trail. When the trail reaches the tributary with the falls, you will have to bushwhack upstream through mostly open woods to the waterfall.